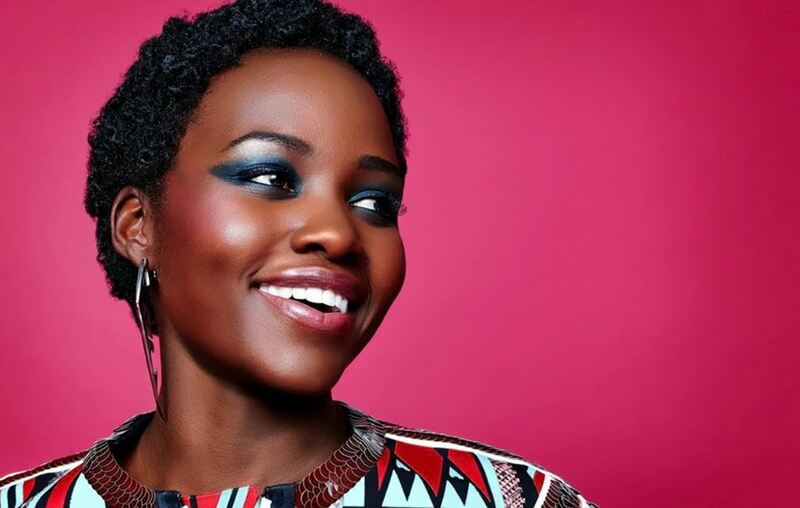 Think there are not a lot of styling options for short, natural hair? Think again. 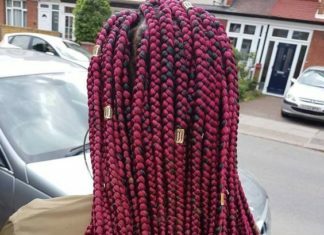 Countless hairdos can be crafted to match your personality. 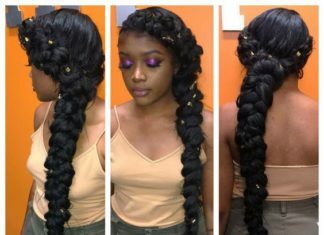 Wear your hair up or braid your hair with intricate designs. Sleek back your hair for an ultra-slicked back look. Feelin’ a little spunky? Cute coils give you a spirited vibe. Short, natural hair does not limit the styles you can create. 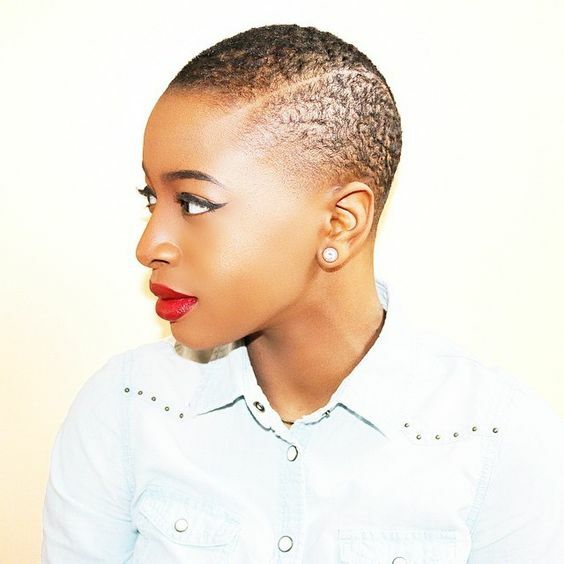 Gone are the days of basic, short hairstyles. 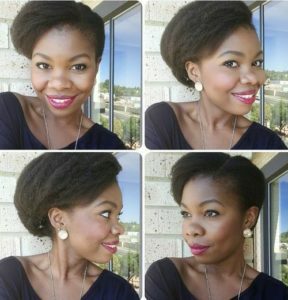 Voluminous looks can be achieved with a natural hairdo even at a short length. Take the time to grow your natural hair out and you will soon find yourself adoring the results. 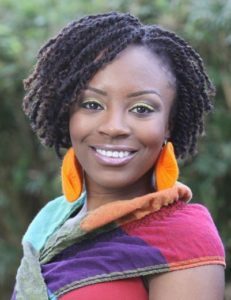 As you start to grow your natural hair, you may wonder where to begin. 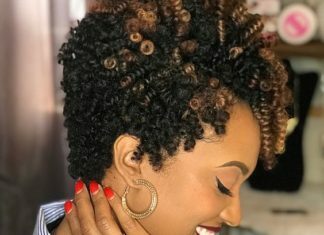 Tight curls are a wonderful hairstyle to start your natural hair journey. Really short hair can be tightly curled with a texturizer. 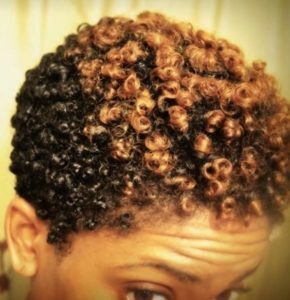 To achieve full curls without heat, style your short hair in a twist-out. A protective style, this look is paired with a flat twist to further safeguard the edges of your hair. 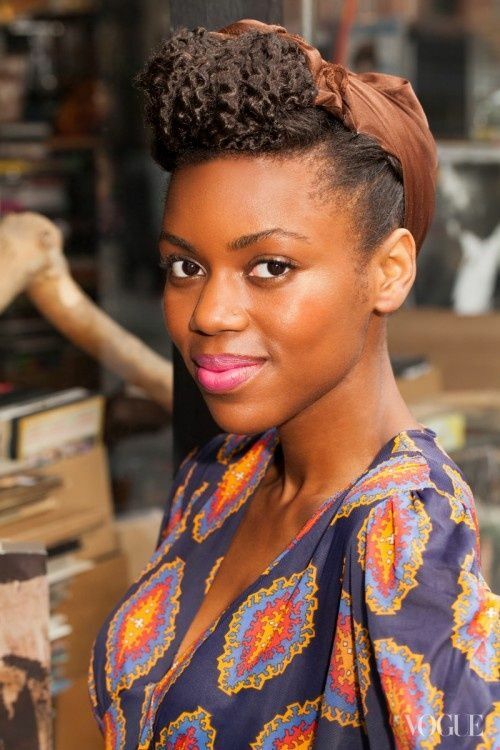 For a cute and classic look, go with a rolled bun featuring a side-part. Enjoy every event throughout the day as you stroll along wearing a timeless style. 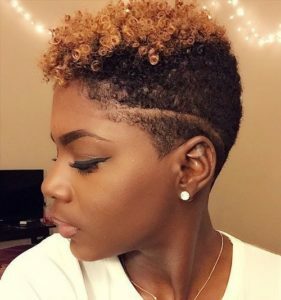 Wearing your natural hair short in a modified Mohawk is a neat way to showcase how splendid natural hair color can look during the growing out process. 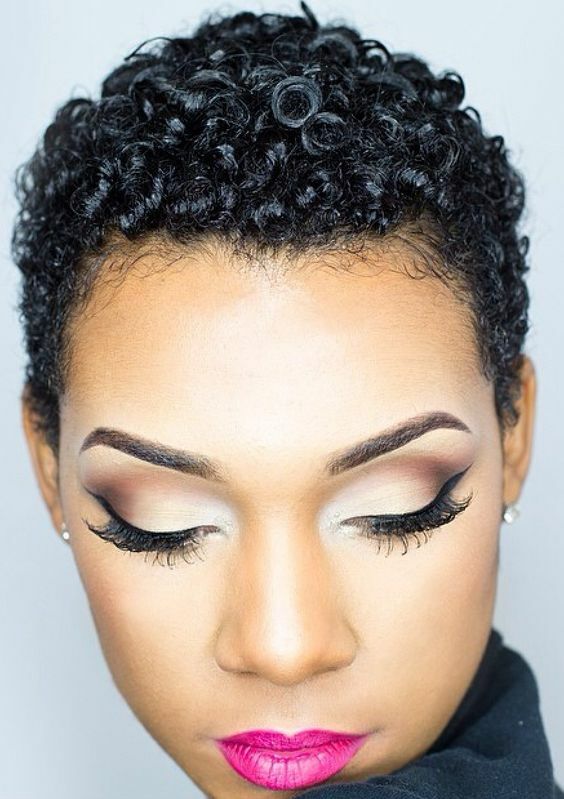 Naturally curly hair is a look of grandeur in a pixie cut. 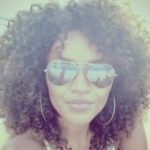 Voluminous curls add height to your hair along with personality. Create a classic meets modern hairdo when you wear your short, natural hair pin-up style. Accessorizing with a bandana and a popular front-bump adds to the tradition of a pin-up style. 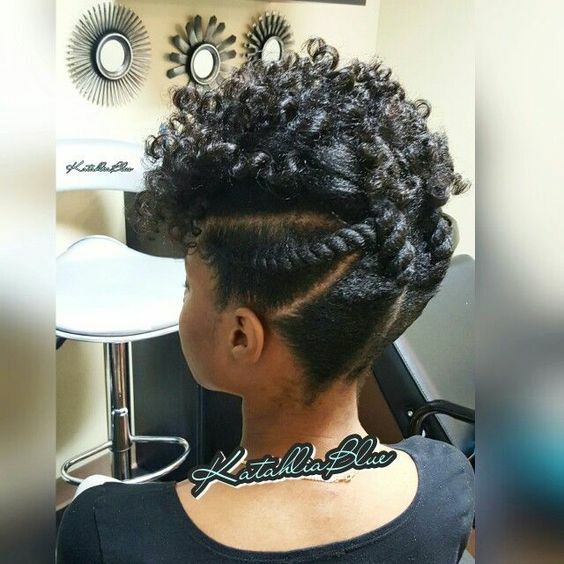 Having a contrast of curls on top paired with smoothed sides is stylin’. Individual braids provide more versatility than cornrows or twists and are a natural protective hairstyle. 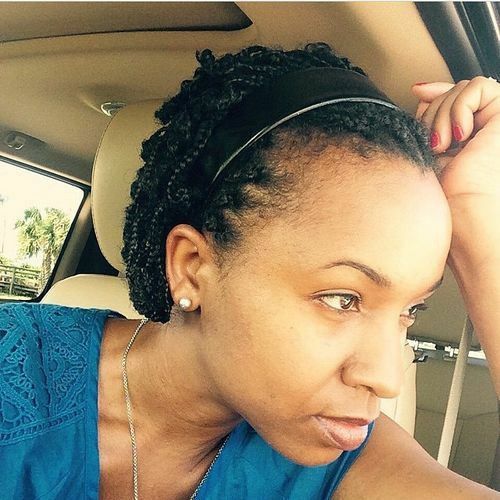 When wearing a short style with braids, accessorize it with a thick headband for a complete look. 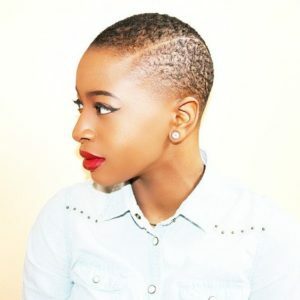 Try a super short fade hairstyle as you enjoy the perks of natural hair. Tight waves will sit atop your head as you wear a bold hairdo. 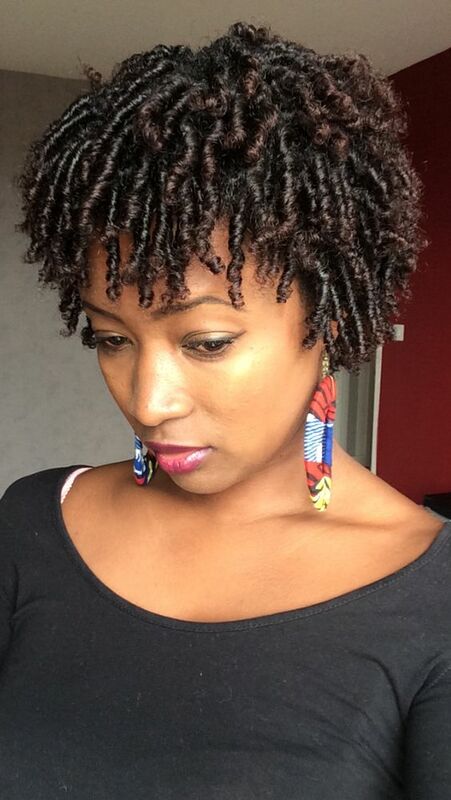 Be quite charming with glossy finger coils throughout your hair. Enjoy a day in the park basking in the sunlight with a cute and carefree look. Stand out with a two-tone cut paired with a detailed design. Having a blonde coloring on top brings some pizzazz to the style while a parted design only adds to this unique hairdo. 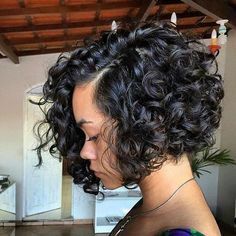 Having naturally curly short hair gives you the freedom to let your curls just be. Your curls can go in whatever direction they choose and still look fabulous. The afro American frohawk is a stylish alternative to match the uniqueness of a Mohawk. Fashionable edge is communicated through this individualized look. A dignified, refined look for formal events can be achieved through asymmetry paired with a flat twist. 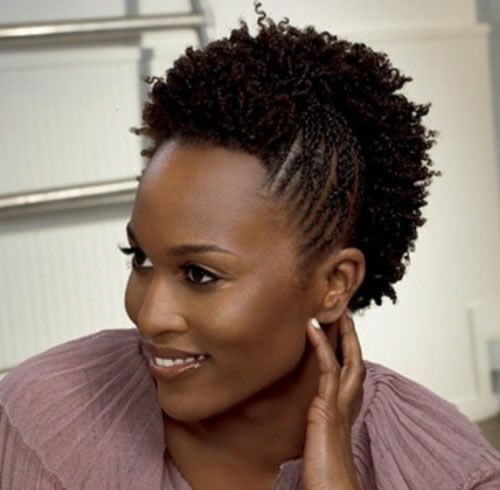 One side of your hair is sleek with flat twists while guiding your curls to the other side of your head. 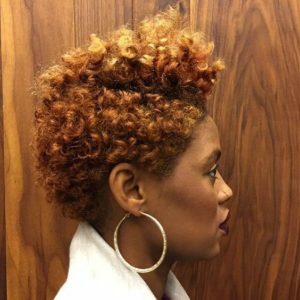 For those who prefer to have length at the front of your hair, but desire to have a shorter length in the back, try a tapered cut in the back. In the morning, just get up and go about your day. 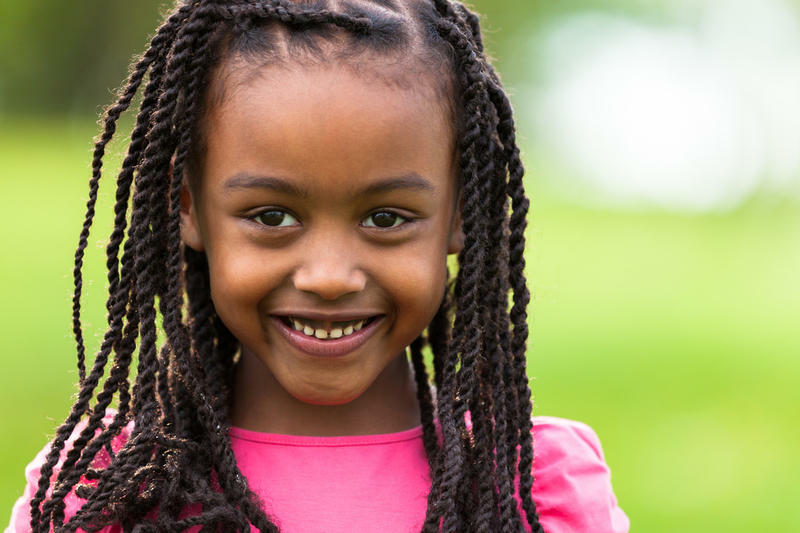 Stay on top of hair trends by adding caramel highlights to your hairdo. 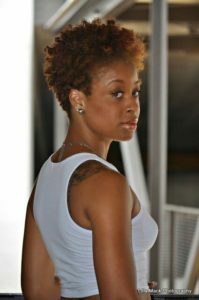 Caramel highlights are not as drastic as other colors, but still give you some variation to your hair. Highlight your femininity through a short bob with a two-strand twist. Pure sophistication exudes from this look as you make this style your own. 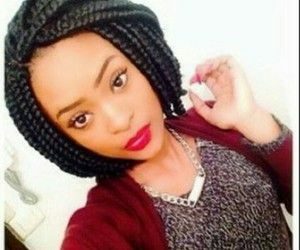 An appealing look is the braided crown which can be worn for days. 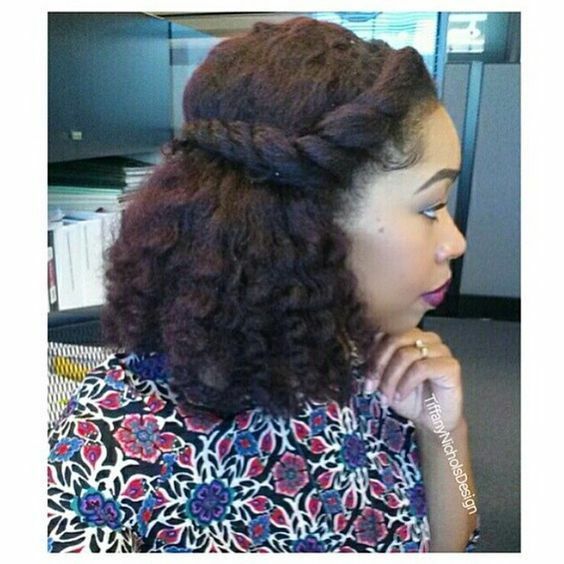 If you do not want to worry about varying your hairstyle throughout the week, the braided crown is a wonderful look. 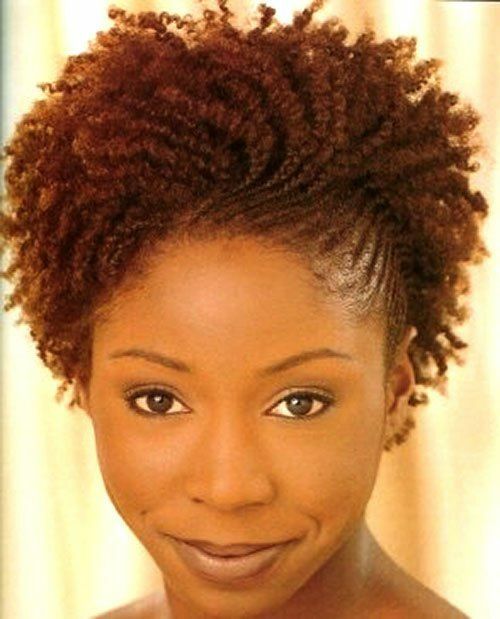 For tiny spirals, wrap your hair tightly around straws or small flexirods and let your hair air dry overnight. 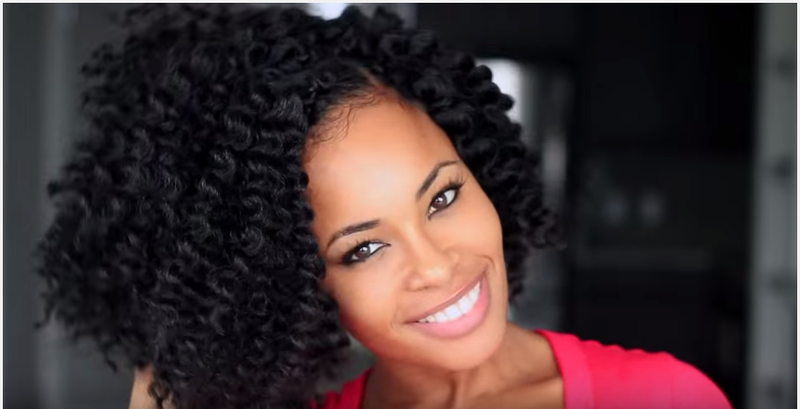 You can even separate your curls to make more curls or wear your hair tight and compact. 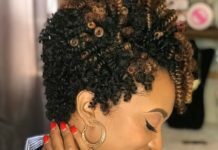 Coloring your natural hair is always a way to spice up your style. Try a dark blonde hue paired with a side part. You will have an ultimate fashion forward look. 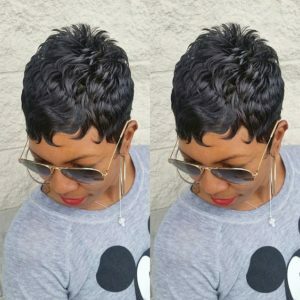 A short pixie provides you with the cute hairstyle to match any occasion. 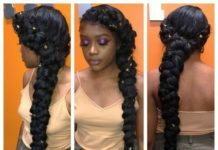 Natural curls help make this look delicate and feminine. 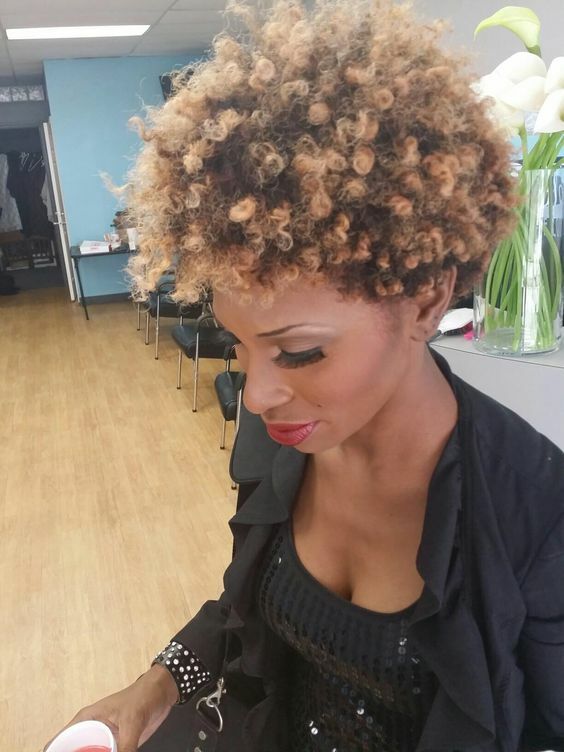 The possibilities for elegant up-dos with natural curly hair are endless. 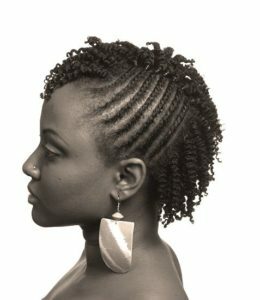 You can braid or twist your hair into a sleek up-do with soft waves for a lovely evening. 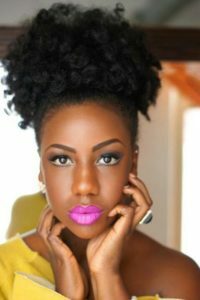 The classic timeless style of afro hair has made a comeback these days. Look and feel like a goddess as you move forward through the day. An ultra-chic bob combined with jumbo twists is an all-around flattering look for women. This protective style keeps your hair healthy and saves you time on daily maintenance. 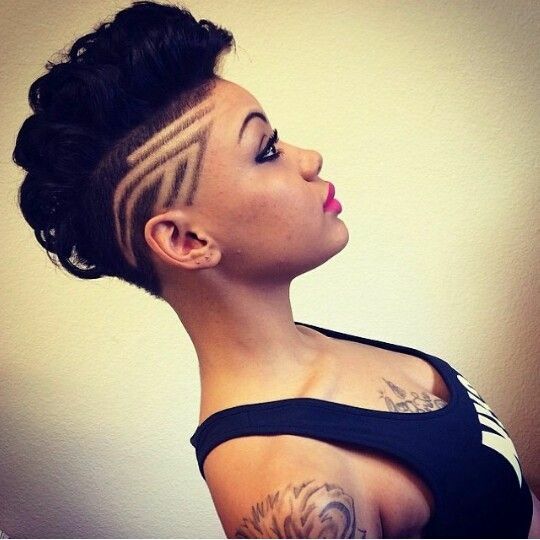 For a funky, fresh vibe be adventurous with a Mohawk that is truly unique. 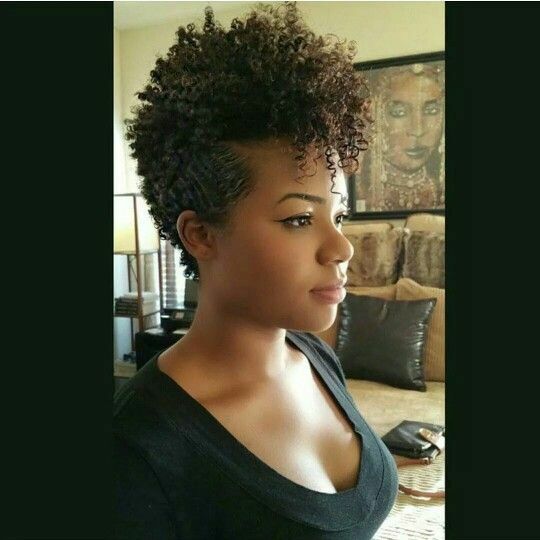 Have a fresh cut along the sides of your head with a curly fro as a natural Mohawk. Add color and parts for extra style points. 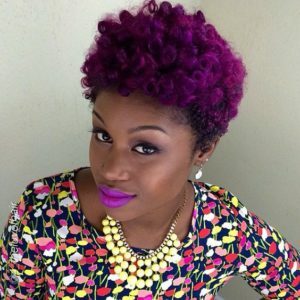 Who doesn’t want to try a daring new color on their hair? 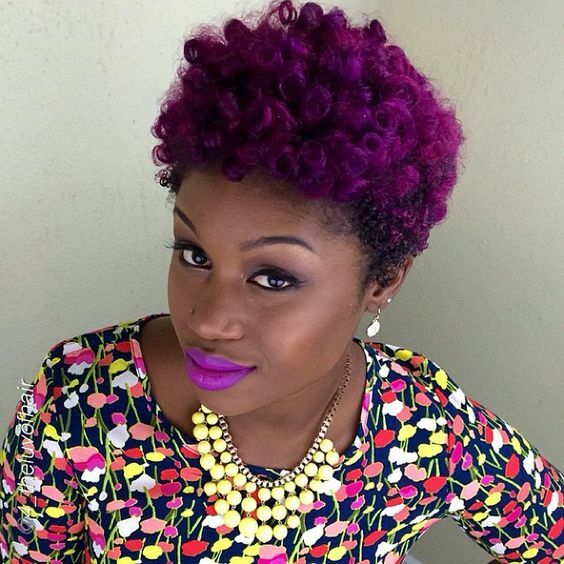 Violet stands out in a crowd and you are able to showcase a fun side of your style. 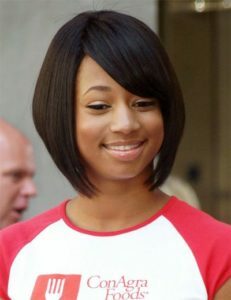 A bob with side bangs lets people know you mean business as you pair it with a pant or dress suit. 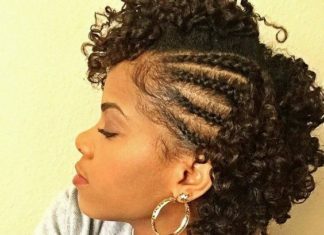 Add some confidence to your step with this hairstyle. 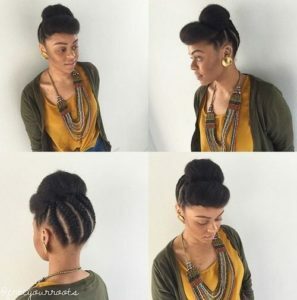 An up-do that will last all day is the braids and double bun hairstyle. Chunky cornrows are paired with two adjacent front buns for a simple, yet innovative style. 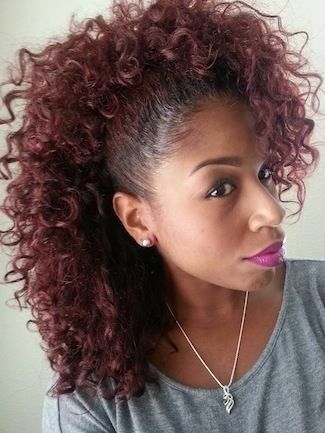 Layer your curls throughout your hair for a lively look that exudes fun and excitement. 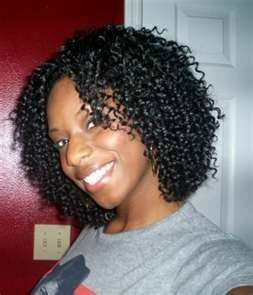 A jet-black color adds definition to the luxurious coils for a look that stands throughout the day. 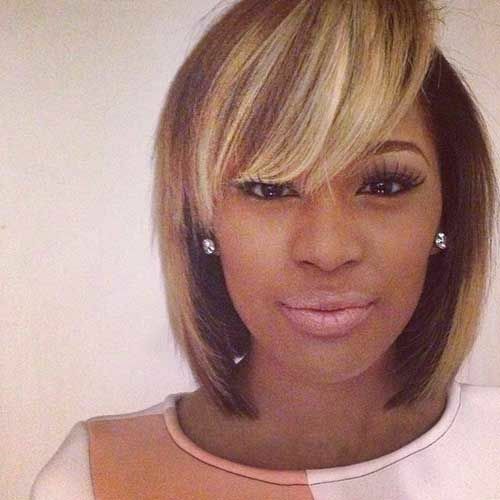 Bring a touch of class with you wherever you go when you wear a straight bob that has a middle part. 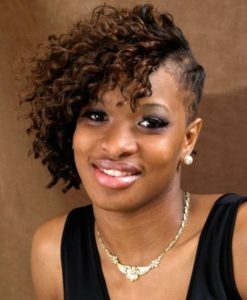 Style this hairdo with a sophisticated dress for a professional look. For a poised style to wear to special events, wear your hair in a swept up-do. Sleekly sweep up the sides of your hair so they are high atop the forehead, or sweep he hair to one side, similar to a Pompadour up-do. Wear a braided hairstyle that has an extra touch of flavor by incorporating a fun roll with a royal bouffant. 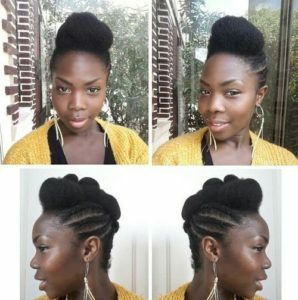 Go from the workplace to a night on the town with this interesting hairstyle. 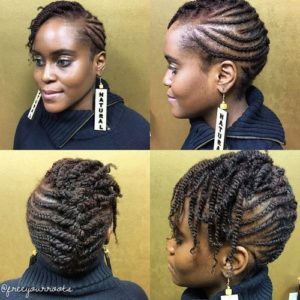 Braiding or twisting your hair at one temple provides an easy and fancy asymmetric hairstyle option. The lively temple hairdo is a perfect solution for women who are wondering how to shape their coils as they lengthen. The short layered bob features diverse lengths of hair. 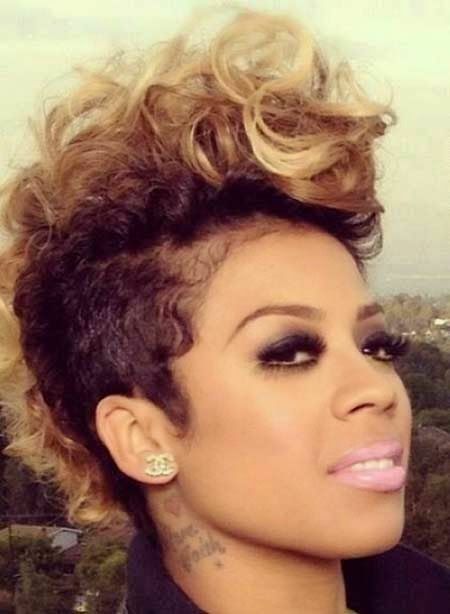 One side of your hair is cut short, while the other side is somewhat longer to add a voluminous effect. Layering brings a fashionable vibe to any outfit. Wear your natural puff towards your forehead and dress it with defined ringlets for an elegant approach to bangs. Exquisite texture set this puff above the others. Look and feel snazzy as you wear your hair in a cute high bun. This particular hairstyle works best for those with thick, curly hair. An appropriate look that will still be in style for weeks is the twisted roll paired with versatile side bangs. 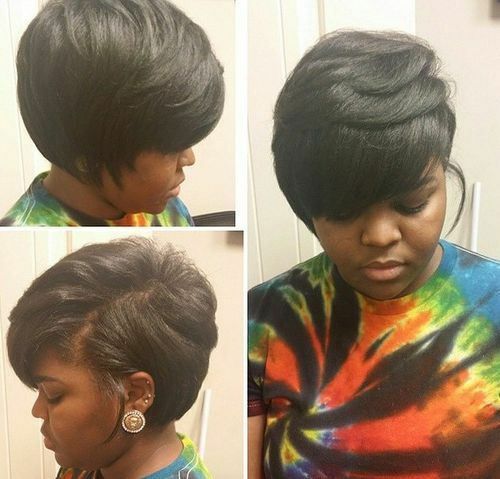 You can pin back your bangs or wear them down for a hip casual look. Pin your hair into a Mohawk going down the middle of your head and add in a parted design to individualize your look. Small coils add a kick of character. 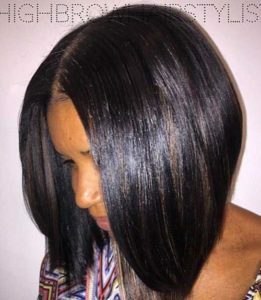 For a cute yet elegant look, style your hair in an inverted bob which pairs well with comfy clothes or a sleek cocktail dress. 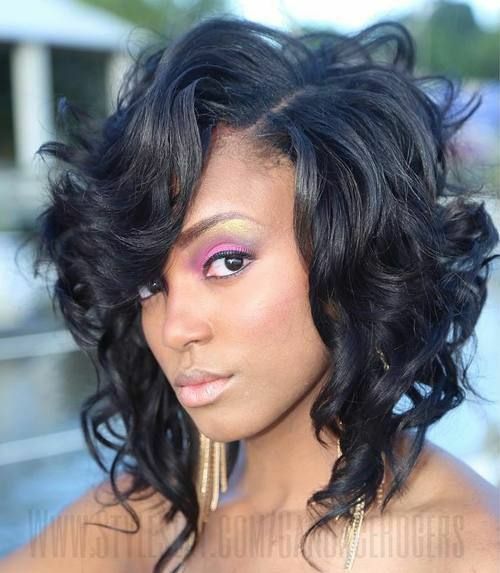 A chic asymmetric hairdo with bouncy ringlets all swept to one side bring a bit of edge to your natural hairstyle. Soft waves are still fashionable for the modern woman. Brush your curls out to emphasize body and length as you dance the night away.